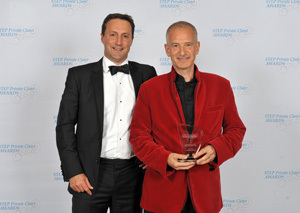 Among others, Philip Marcovici received the Citywealth Magic Circle Lifetime Achievement Award in 2009 and, jointly with Fritz Kaiser, the Wealth Management Innovator award in 2011 for his work in instigating the Liechtenstein Disclosure Facility. In 2010 Philip received the Russell Baker Award from Baker & McKenzie in appreciation for his exceptional contributions to the firm’s Global Tax Practice. Philip Marcovici TEP won the Lifetime Achievement Award, the most prestigious annual award for individual practitioners at the STEP Private Client Awards 2013/14, the respected international awards for the private wealth sector. Through an independent and rigorous judging process the PCAs set the industry standard for excellence in private client practice. Winning a STEP PCA has proved to be a clear mark of quality in the private client sector, offering international recognition and credibility. More than 650 private-client professionals attended the Awards Ceremony, held at London Hilton on Park Lane hotel, which was hosted by Clare Balding, BAFTA Special Award winner and RTS Presenter of the year. The event supported international charity Feed the Minds for a third year, raising GBP84,939 for the charity, which works with local partners in developing countries, delivering education projects to help save lives, reduce poverty and transform communities. The Awards were live-tweeted on @STEPSociety (#STEPPCA) announcing the 15 firms and five individual winners as the night’s events unfolded. Click here for the STEP interview with Philip Marcovici.